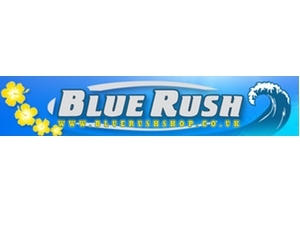 Welcome to Blue Rush, we are a third generation family run business offering web, eBay and retail outlet shopping based in the UK surf capital Newquay, Cornwall. You can expect affordable quality in the best latest designs from our own Blue Rush brand and benefit from our expertise and excellent customer service. Surf our BLUE RUSH SHOP today and buy with confidence.